As additive manufacturing grows daily and finds more and more users in the industry, we have decided to focus on a few players who have had a profound impact on the market, contributed to its growth and followed its evolution over the past ten years. These faces of additive manufacturing are a key element in providing more opportunities for professionals who have adopted these 3D technologies. 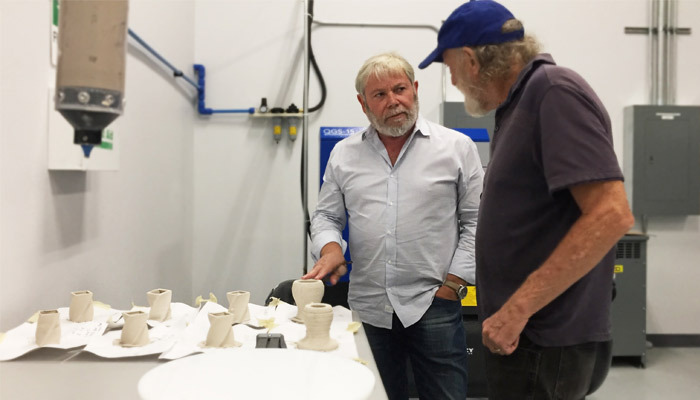 So we start our portrait series with Avi Reichental, former CEO of 3D Systems, and now founder of XponentialWorks, in addition to his multiple projects in additive manufacturing. We met with him to learn more about the evolution of technology and his vision of the market. 3DN: You’ve come a long way in the additive manufacturing industry, could you tell our readers about your various experiences? Well, I’ve been in the industry for nearly 2 decades now. It started when I became the CEO of 3D Systems in 2003, working alongside the very founder of 3D printing, Chuck Hall, who created 3D Systems and the first 3D printer. In 2015, after 12 years at 3D Systems, I established XponentialWorks, a venture, advisory and product development firm to advance and enhance the additive manufacturing industry through a unique business model. 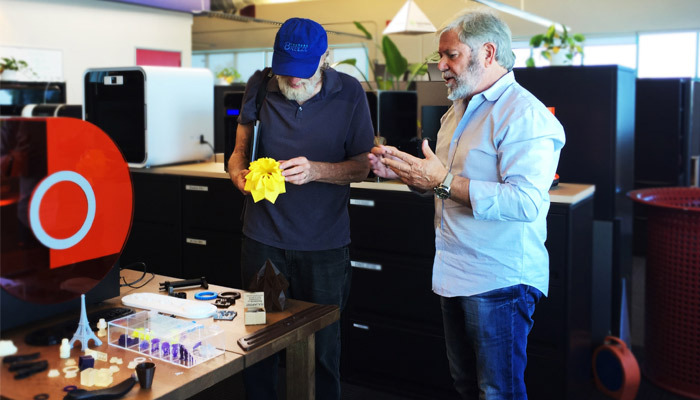 At our innovation lab in Ventura, California, we collide early stage companies in the fields of 3D printing, AI, robotics, and machine learning, with more mature and traditional companies that already have the market strength but need the technologies of these more nimble startups in order to maintain their relevance in an increasingly digital world. 3DN: What about your current works in the AM industry? Through my role at XponentialWorks in advising and leading various companies through this process, I’ve also become heavily involved in numerous additive manufacturing companies. For example, I cofounded Nexa3D, ParaMatters and NXT Factory; serve as Executive Chairman of Nano Dimension; and as the CEO of Techniplas Digital. All of these companies are part of the XponentialWorks ecosystem. I can give you some details on each of our 3D printing venture portfolio companies. 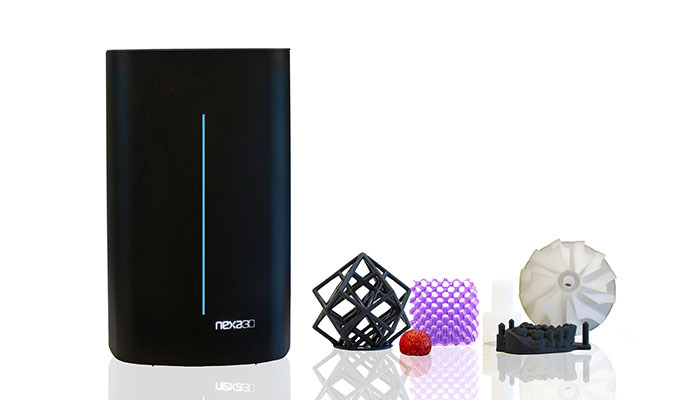 First, there’s Nexa3D which makes ultrafast industrial-grade stereolithography 3D printers affordable to professionals and businesses of all sizes. The company’s printers are powered by proprietary Lubricant Sublayer Photo-curing (LSPc) technology and patented structured light matrix. Capable of reaching top speeds of 1Z centimeter per minute, Nexa3D’s machines drastically reduce 3D printing cycles of precision functional parts from hours to minutes. 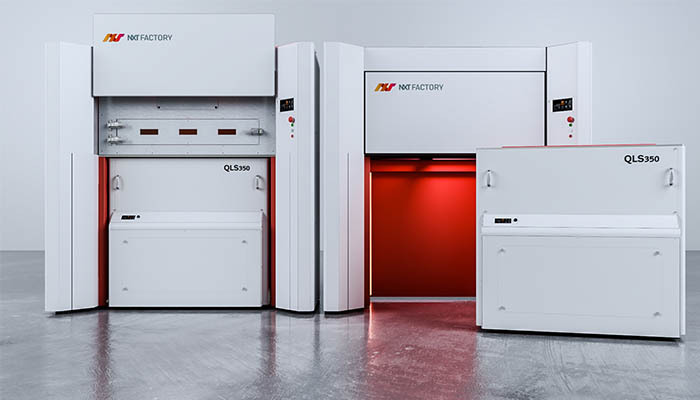 NXTFactory is pioneering the development of Quantum Laser Sintering (QLS™) technology to additively manufacture thermoplastics at convincing speed and scale. The company is leveraging this technology into its first industrial-grade high-speed 3D printing systems with a clear mandate to replace traditional injection moulding of plastic parts at scale. ParaMatters offers a cloud-based cognitive design platform for autonomous topology optimisation and generative light-weighting design. ParaMatters is capable of automatically generating additive manufacturing ready, high-performance, lightweight structures for aerospace, automotive and other mission critical applications. UNYQ uses 3D printing to create innovative mass customised products that re-imagine orthopaedic devices. UNYQ uses emerging technologies to create next-generation products that are simultaneously aesthetically beautiful yet practical and functional. And last but not least, Supercraft3D focuses on healthcare and medical applications of 3D printing, and provides medical models for a variety of end users such as surgeons, educational institutes, patients undergoing CMF procedures, diagnostic centers and others. In addition to our venture portfolio companies, we also have several corporate partners in the additive manufacturing industry. These include Hyperganic, NanoDimension, Sharebot, Techniplas and XYZPrinting. 3DN: How has the AM industry changed from the time you were the CEO of 3D Systems to today? It was an entirely different industry 10 years ago. When I entered additive manufacturing in 2003, we didn’t have the infinite cloud computing power we have today, the ubiquitous connectivity we have today, we didn’t have chip sensors. AI was just a subject you would go to a place like MIT to study, but it didn’t yet have any practical applications. Robotics was largely out of reach, in terms of cost and performance. The idea of generative design wasn’t even on the table back then. Now, looking where we are today, and all of that has changed drastically. And because of all these developments in AI, cloud computing, connectivity, and the rest, our machines are faster and more affordable, the materials are better, and as a result, what was considered impossible a decade ago is now become the norm in our industry. 3DN: What do you think are the remaining challenges to the global adoption of AM across the industry? I believe our industry’s greatest challenge to date has been the restrictive speed, size and volume barriers that have greatly limited the ability to print materials at scale. After many years of work and research, however, we have started to see great strides in this area, and we are beginning to see production floor volumes that are comparable to traditional injection-moulding and die-casting. This has been accomplished by adapting 3D printing to fit into traditional work-flows and manage design constraints that enhance performance, reduce material usage and are more sustainable than traditional manufacturing processes. On the material side of things, we have also been able to build and cure parts faster with newer chemical systems to produce stronger materials in the final product. You can see this advancement in the printers being produced by companies like Nexa3D, which offers infinitely faster printing speeds. Another challenge to our industry is the lack of real standards that are universally accepted and understood, which would allow 3D printing companies to compare apples to apples and make intelligent decisions that are implemented into a cohesive environment of manufacturers, resellers and users. This industry needs to use more transparent and responsible language when it comes to performance capabilities. In terms of machine performance and material performance, the AM industry could learn from more mature and traditional manufacturers in order to educate the public about the performance characteristics of this technology. Lastly, I think this industry could really benefit from more ecosystems like what we have at XponentialWorks, which allow early stage and mature companies to collaborate and join forces to build a stronger industry. This industry could go a lot further if certain companies learned how to work better together. That’s not to say competition is dead. Competition is key, but creating ecosystems and colliders will prove to be a force multiplier that accelerates the adoption of additive manufacturing across so many industries. 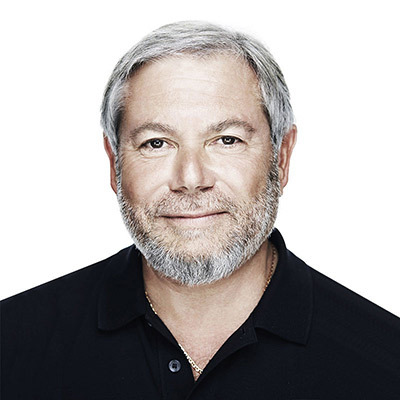 What do you think of Avi Reichental’s projects? Let us know in a comment below or on our Facebook and Twitter pages! Don’t forget to sign up for our free weekly Newsletter, with all the latest news in 3D printing delivered straight to your inbox!